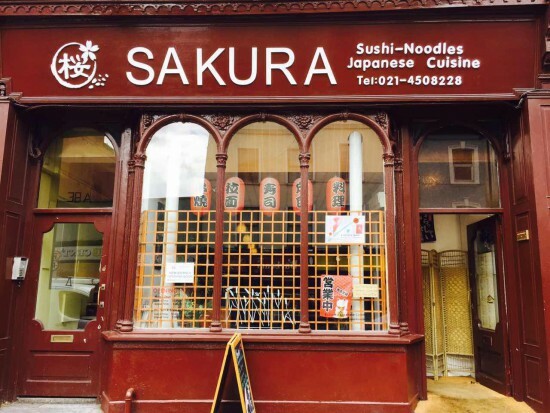 Sakura Japanese Cuisine is Cork’s premier Japanese cuisine destination. The stylish restaurant serves delightful Asian dishes including sushi, sashimi, norimaki, tempura, teppanyaki, noodles and ramen. All dishes are also available for takeaway. Sakura chefs use only the freshest produce and embrace both traditional methods and contemporary trends – delivering a unique taste of Japanese food. Set in popular MacCurtain Street north of the city centre, the atmosphere is an inviting mix between a cosy restaurant, a modern sushi bar and noodle diner and combines fine food with excellent staff to welcome you on an unforgettable culinary experience. Sakura Japanese Restaurant is now taking group bookings for any of your events or celebrations, Please let us know how we can be of help to you. Our team is ready to help! Having a night out with friends? Want to have some fun with great food? Our sushi parties offer a wide selection of sushi, sashimi and norimaki for groups in a stylish environment. After the delicious food the city centre is only 2 minutes away for more fun. Our restaurant is ideal for company functions, Christmas Dinner, department outings, etc. We can serve a wide range of dishes which is to the liking of just every member of the party. Call us to get details about our offerings. Looking for a stylish gift? Our gift vouchers are a great gift for friends, family, collegues and business partners. Feel free to pick up the vouchers from our restaurant.